IT'S FRIDAY! HOW ARE YOU GOING TO SPEND YOUR WEEKEND? Happy Friday everyone! It’s been a long week for the team here at SAstudy, and I’m sure it’s been the same for all of you! Go see a film you’ve been meaning to watch. See a live band – or just relax with your favourite music playing in your ears. Spend a day at a nearby beach. Go for a picnic – pack an awesome lunch! Go out for a few drinks with old friends. Catch up on series or TV shows you’re behind on. Get inspired to draw, paint, or craft. Your imagination is limitless! Start a blog. It’s a great way to record your thoughts and improve your writing skills. Try a new recipe – cook a meal for your friends or family. 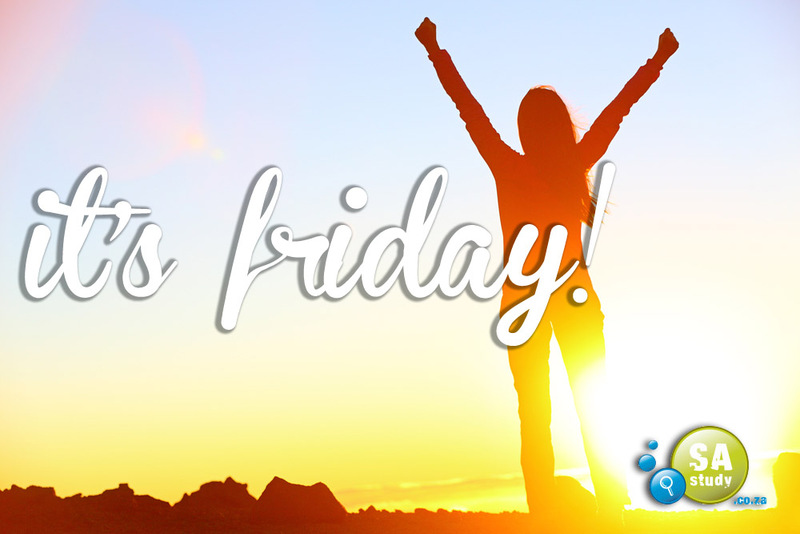 Have an awesome weekend everyone – more from us on Monday!